Michelle Williams is probably best known for her rise to fame as a member of the girl group Destiny's Child, but what you didn't know is that the singer found herself paralyzed with "What's next?" anxiety. But God still had plans for Michelle. Williams has since continued to receive critical acclaim, honors and awards in her solo career so far. She is a singer-songwriter, Broadway actress, designer, entrepreneur, TV host and more. In this exclusive 3-day devotional plan on Bible, Williams will inspire you with three pillars of biblical truth that helped lifted her out of that anxiety and depression - into the abiding faith, hope and joy that she enjoys today. I read this plan by Michelle Williams on September 17th and finished on September 20th while also giving it a rating of five stars. I don't know that Michelle went through anxiety and depression like she talked about on some of the video devotionals before she starts to share some of her favorite scriptures. Like Psalms 28:7, Matthew 6:25-33, Jeremiah 29:11, Philippians 4:8 and so many more. 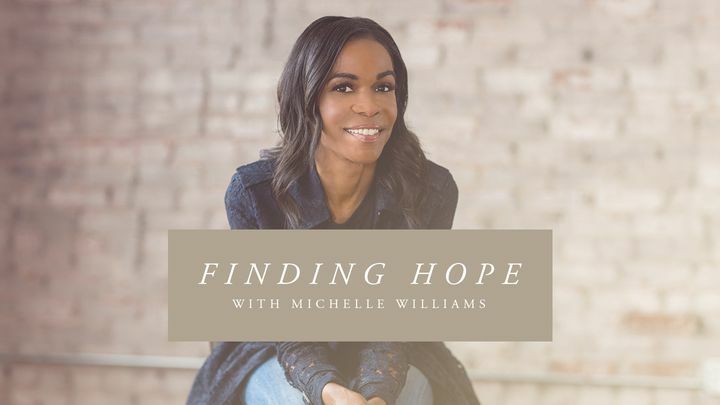 Overall, I enjoyed this devotional plan and would recommend this for anyone who is going through anxiety or depression or both to just listen to Michelle Williams' testimony about how God helped out of a rough time.